Blastipedes are an uncommon slug that look less terrifying then they actually are. At first glance they appear to be useless as they seem to have no real attack ability. 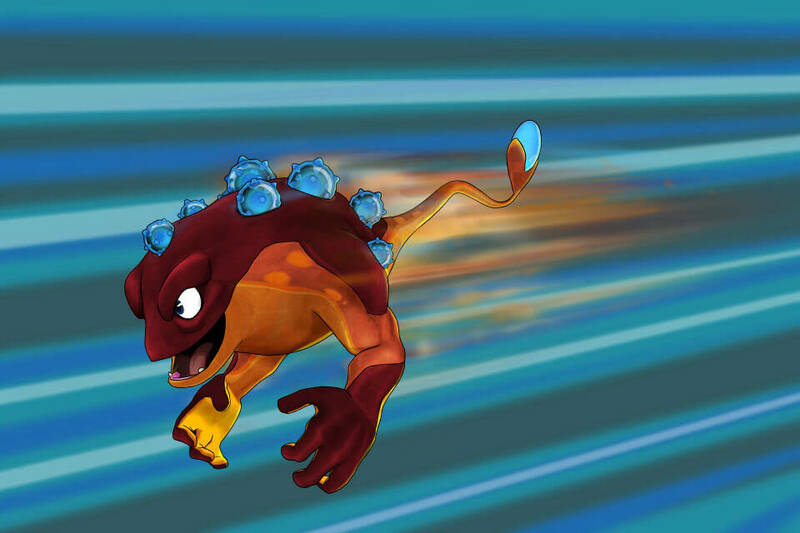 At 100 mph, Blastipedes drop what look like tine blue rocks and then transform back into their protoform. Rookie, in the episode, “Bandoleer of Brothers” thought he was useless because he had no idea how his attacked worked. 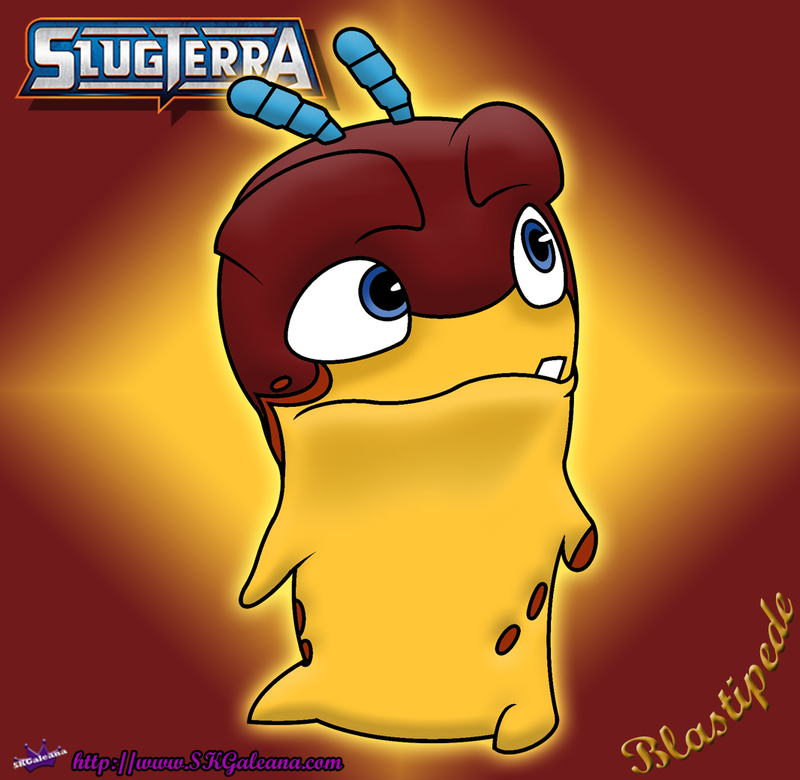 However, a Blastipede has the ability to detonate the mines they throw by touching their two antennae together. When Rookie accidentally discovers this, he rescues his friends and becomes a valued member of the Shane Gang. Blastipedes are yellow with reddish-brown heads and blue antennae. They may not look like much, but they can pack a punch with their explosions. Check out the specs below for more details on the Blastipede and it’s attacks. Protoform Abilities: By pressing the “lever” on its head, it can remotely detonates mines it has deployed. At 100 miles per hour, the Blastipede has several blue mines on his back that he can remove and throw in stratigic locations. When he returns to protoform, he can detonate them by touching his two antennae together.